CHRIS, A RECOVERING ALCOHOLIC, whom I have been fortunate enough to interview. Story, his challenges, his consequences and struggles. Only to be inspired by his hope, his faith, his strength, his ongoing commitment and recovery. Thank you Chris for this candid interview and sharing your story. I have no doubt you will help many. 1- How old are you? 2- Where were you born? 3- Did you grow up there? 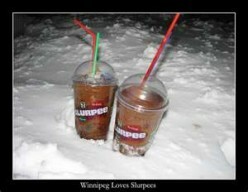 No, I grew up in Winnipeg. 4- Where do you live now? For how long? I live now in Toronto, I've been here for 25 years. Design and architecture. I’ve always been a visual person, I look for the beauty around me. Structures, objects, printed matter – it’s everywhere. I’m also passionate about the plight of those who are less fortunate, particularly people with mental illness. I love reading fiction – murder mysteries, thrillers that sort of thing. My favorite author right now is Dean Koontz. He’s an amazing storyteller with a remarkable imagination. It’s a way for me to escape without getting drunk or high. I would love to own a 6-series BMW. It’s the first thing I’d buy if I won the lottery. 8- Favorite Place to visit? Rome is the most beautiful city I've visited, although I've also loved my trips to New York. Unfortunately I haven’t had the opportunity to go for quite a few years. My favorite place to visit in Toronto is the mezzanine level of the Royal York Hotel. It’s incredibly peaceful, they have these huge wing back chairs that look over the lobby. It’s a great place to sit with a coffee and people watch. 10- What would be the motto you live by? 11- Do you believe drugs should be legal? Yes. We’ll never stop people from using them, but by making them illegal we’re just putting money in the hands of criminals. (Just look at what happened with prohibition in the US in the 20’s). And let’s not forget how much money is wasted putting drug users through the justice system. 12- Do you remember your ﬁrst drink, how old were you? I remember my first drink vividly, I was 13 years old. I didn't get drunk that first time, but I felt the effect. I fell in love with it instantly. 13- And if so, where and what was it? I was with some friends who were a few years older than I was. We were on a riverbank along the Red River in Winnipeg, they had a case of beer and offered me one. My drinking from that point on became something I planned for. First weekends (but usually only one night). When I moved away from home at 17 I started drinking several nights a week. 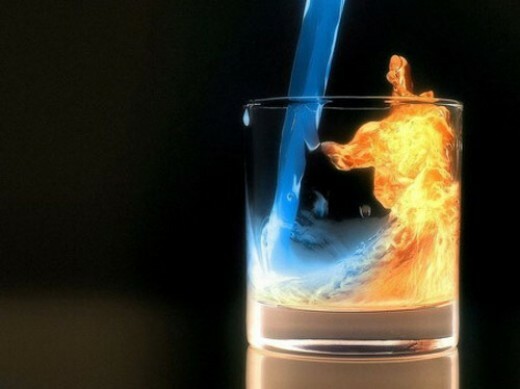 By 20 I was drinking daily, I drank daily for 15 years and the quantities gradually increased. 15- Were you aware at the time your behavior might have indicated you had a problem? I was probably 18 or 19 when I started worrying about my drinking. It ran in my family (my father is an alcoholic) and I knew a little about it. 16- What were your thoughts? I didn’t want to quit. I enjoyed it too much, I loved the way it made me feel. And in many ways it completely defined me. Everything I did revolved around drinking. All of my friends drank like I did. 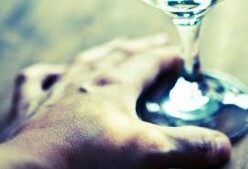 I couldn’t imagine living without it, so I convinced myself that my drinking was ok, even though it was getting worse. 17- What age and situation was your drinking obviously increasing? It really just steadily increased as the years went on. When I started drinking daily, I would buy a 6-pack of beer every night and drink it as quickly as I could (to get the maximum effect). After a while I switched to buying a mickey of vodka or gin every night. Then I started buying 26 ounce bottles, and then 40 ounce bottles. Drinking in the morning became ok (but only on the weekends of course!) And on, and on, and on…..
18- Did anyone mention you might be drinking too much? When I was 18 or 19 I had a few people make some offhand remarks about my drinking. That’s when I started hiding it. 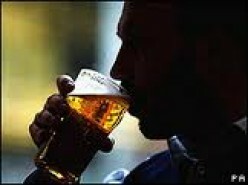 Eventually my drinking switched over from drinking ‘socially’ with people to drinking alone. In the last 10 years of my drinking, 95% of it was done alone, with the blinds down, the phone off and the door locked. All I wanted to do was shut out the world and crawl into my bottle. 19- Do you have any theories as to why your drinking was progressing? I knew from my father that alcoholism was progressive. Both from watching him before he got sober and from what he had told me. So I was acutely aware of the progression, but the knowledge alone didn’t help. I couldn’t do anything to stop it. So I guess I kind-of knew that it was getting worse because I was an alcoholic, but I didn’t really know why beyond that. 20- Did you hide any of your drinking? I did everything I could to hide it. It wasn’t hard because I lived alone, I was extremely private, I was never in a relationship, I rarely invited anyone home, and I never, ever, ever spoke to anyone about it. I would go to work and then go back home to drink in private. As you can imagine, it was a lonely existence. 21- Did you do drugs? I did for a while, but mostly as a substitute for drinking. When I was 18 or 19 I was worried about my drinking and I didn’t want to drink too much. So for a few months instead of getting drunk most nights, I would smoke hash or marijuana. The problem was I started getting very, very paranoid, and I couldn’t do anything when I was stoned. It just became very unpleasant. So I went back to my drug of choice – alcohol. 22- Did you have drinking buddies and hangouts? I had a couple of drinking buddies, and a couple of bars that we would go to. It was only a once-a-week thing, and it was hardly social. The neighborhood bars we went to were empty, and we would play video games and barely talk to each other. And I was getting so self-conscious of my drinking that I would be careful not to get drunk with them. I’d hang out for a couple of hours just waiting until I could go home where I had a bottle of gin or vodka waiting and the real drinking could begin. 23- Was your family concerned? I was single, no girlfriend, so I didn’t have anyone very close who would have seen how bad I was getting. My parents live in another city and I was always careful not to drink in front of them. I only saw my sister once or twice a year, so it may not have been very obvious for her either. I’m sure though, that in the last year or two they all must have been wondering about me. I’m sure they suspected something, but they never confronted me. 24- Were you getting concerned? My concern grew over the years as my drinking progressed. But I lived with the delusion that I would be able to quit, on my own, when things got bad enough. And I kept changing my definition of what ‘bad enough’ was, so it was a long time until I realized that I truly couldn’t quit on my own. 25- Tell us the progression of that point until your drinking took over your life. Looking back, I think I was powerless over alcohol from the moment I first felt its effect. In retrospect, I can see that the obsession to drink started right after that first drink when I was 13. But the drinking really took over when I started drinking alone every day. 26- What was it like then and how old were you? I was 20 when that started. For a while I thought it was ok, I was unwinding after work. As it got worse it became very lonely, my health started to get worse and my life became incredibly empty. 27- How many years did you drink with an excessive problem? 28- Were you able to keep your job? Yes, fortunately I did keep my job. I lucky, I work in a profession I really love and I've been quite successful. While I was drinking it was the only thing that gave me any self-esteem. Losing it would have devastated me. 29- Did your employers notice or mention anything? They never mentioned anything and I don’t really know if they noticed anything or not. In the industry I work in, my office hours are fairly flexible. So coming in late or leaving early wasn't noticed all that much. I could always lie about somewhere I had to be. And there’s lots of drinking in my industry too. So no one really cared if I was hungover or not. As long as I delivered on my projects everything was fine. Of course that was getting harder and harder to do. Eventually I would have lost the job, I know that now. 30- Does anyone in your family drink? My father was an alcoholic, and sober for 30 years. 31- Tell us about how bad it got. All I could think about was drinking, and all I wanted to do was get drunk and pass out. The obsession was overwhelming. I did manage to keep my job, but I’m not really sure how. I was drinking so much every night that I would still be drunk the next morning. On weekends I drank around the clock. 32- What was it like just before you quit? I started to vomit large amounts of blood. I had vomited some blood before, but not like this. I would be so sick it was impossible to eat or drink anything for days. So, not by choice, but simply because I couldn't, I detoxed at home on my couch. Sweating. Twitching. Having horrible nightmares. For days I would drift in and out of sleep. I knew that it was the direct result of the use and abuse of alcohol, and I knew I needed to quit. But as soon as I could eat a little something, as soon as I felt a little better, I thought to myself ‘maybe I should get a bottle to keep on the shelf, just in case’. And as soon as I had the bottle back home I was drinking again. I drank for 6 months after that first bout of blood. But I didn't want to drink. And I was frightened to death. It turned out that I had a couple of bad ulcers and I was hemorrhaging internally. It took that last 6 months for me to really understand just how deadly alcoholism is. I didn’t want to drink. And yet I couldn't stop. 33- What made you quit? I had another couple of bad bouts of vomiting blood. And after the third one I just gave up. I finally surrendered. I was ready to ask for help, which I had said to myself I would never do. I don’t know what made the morning I surrendered any different the other mornings in the 6 months leading up to it. 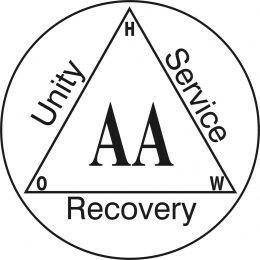 I don’t know why I've been able to stay sober for over 7 years when I've seen others come in and out of AA. But I suppose I don’t need to know why. I just keep praying every morning for help and guidance and every night I give thanks. Today I hang onto my sobriety with a death grip. It is, without a doubt the most important thing I have. And AA is the best thing that’s ever happened to me. 34- How did you quit? misconceptions of it. I thought it had something to do with religion. 35- Was it difficult and for how long? 36- Did your family and peers offer support? They were all very supportive. I’m very lucky that way. I would have drank. So at first I went to a meeting almost every night. get to know others in recovery. 38- What do you do today to not drink? night I say a prayer of thanks. 39- How long has it been since you had a drink? 10 years today actually. It amazes me to think about it. 40- What do you attribute most of this to? thinking our way to better actions, we act our way into better thinking. Chris, if you could give one piece of advise to the alcoholic who is still suffering, what would it be? You don’t have to live like that anymore. There is a way out, and you're not alone. You have come so far in your Recovery and your Sobriety speaks for itself. You have inspired me and reminded me the importance of being involved in the program as well as keeping it simple. And recovery is a 24 hour commitment, one day at a time. I wish only the best for you and pray that even one alcoholic (or addict) still suffering, reads this and feels more comfortable and hopeful about seeking help. You are an inspiration and very kind person to share your story with us, and I thank you, as do many other. It's unfortunate we don't get to see the ones we touch. But you can see me and as usual, you have touched me. An American Tragedy: Crack-cocaine in our schools.